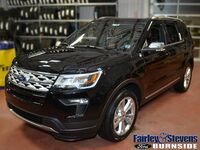 Built for the next adventure, the new 2020 Ford Explorer is designed inside and out to give you confidence on the road and off! This SUV has been totally redesigned, featuring a new exterior, a new interior, and a ton of power for you to enjoy! This vehicle is designed to give a great experience on the road and off! 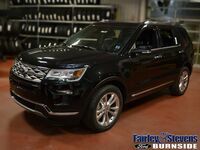 The new 2020 Ford Explorer has a ton of amazing safety systems and features, all designed to heighten your awareness on the road and keep you secure no matter where you go! One of these awareness-boosting features is the BLIS® with Cross-Traffic Alert, this feature will help you detect traffic behind you when you’re slowly backing out of your parking spot or your driveway. There’s also the available Lane Keeping-System, which helps keep you in your lane. These features scan your vehicle’s position between the lines and alerts you if you start to drift. 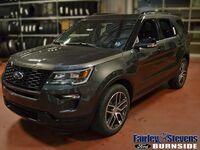 The new 2020 Ford Explorer has a ton of amazing performance features, but the biggest change is that it has a no-compromise hybrid form! This vehicle is engineered for big adventures, but it doesn’t stop being efficient. This vehicle can tow up to 5,000 lbs when fitted with the proper equipment, like the Class III Trailer Tow Package. You’ll enjoy this power while also enjoying an EPA-estimated range of at least 500 miles between station visits. That’s a lot of miles, paired with a lot of power, and all without losing size. 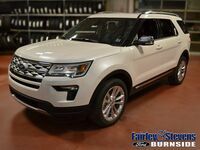 To learn more about this great SUV and what it has to offer you, or what else the new Ford lineup can offer you, contact us at Fairley & Stevens Ford today! Our agents are prepared to answer any questions you might have!